This week the entire crypto market cap rose by 4.5%, bringing the market cap to just above USD 180 bn. Bitcoin and Ethereum rose by 5.5% and 7% respectively. CME reported record volumes last Thursday with a notational value of 112,700 BTC or USD 546 mn. This past Monday the National Development and Reform Commission released a list of sectors that it plans to restrict or eliminate. Bitcoin mining was on that list put out by China’s top economic planning agency. Some in the industry believe that China could outright ban mining. An ban on mining could influence energy producers as Bitcoin miners predominantly run on renewables, meaning that miners often buy excess capacity. Additionally, most of the global mining activity takes place in China, and China could tax a large slice of the industry which pulled in over USD 4 billion last year. 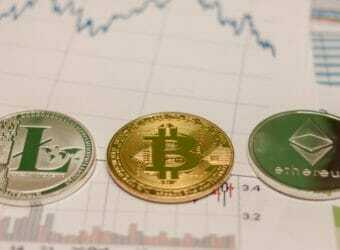 Cryptocurrency exchange-traded note supplier, XBT Provider, recently launched several new ETNs on a Swedish stock exchange. The notes track the spot price of Ripple’s XRP and Litecoin in both SEK and EUR. These offerings now double the number of ETNs from the provider. These give investors that ability to invest in these assets through a regulated exchange. Currently, ETNs from XBT provider is the only way on SaxoTrader to gain pure exposure to digital assets. Since the peak in early 2018, investors have gained multiple avenues to get exposure to digital assets without leaving the comfort of traditional exchanges and brokers. Nathaniel Popper, a New York Times tech writer, stated that Facebook is looking to raise USD 1 bn for their cryptocurrency ambitions. This comes at a time when Facebook is sitting on over USD 40 bn in cash and cash equivalents. Facebook aims to launch a stable coin that is backed by a basket of traditional currencies held in reserve. Popper states that the outside capital raise could be a device to give an air of decentralization to the initiative since outside investors will have a stake in the Facebook-led project. I doubt Facebook will have trouble raising funds considering that the Whatsapp rival Telegram has raised over USD 1.7 billion. A Barclays analyst believes that Facebook coin could add USD 3-19 bn to the company’s revenue stream. The launch of FB Coin and its subsequent trading on exchanges could do a lot in terms of exposing and onboarding millions of new users to the cryptocurrency sector. 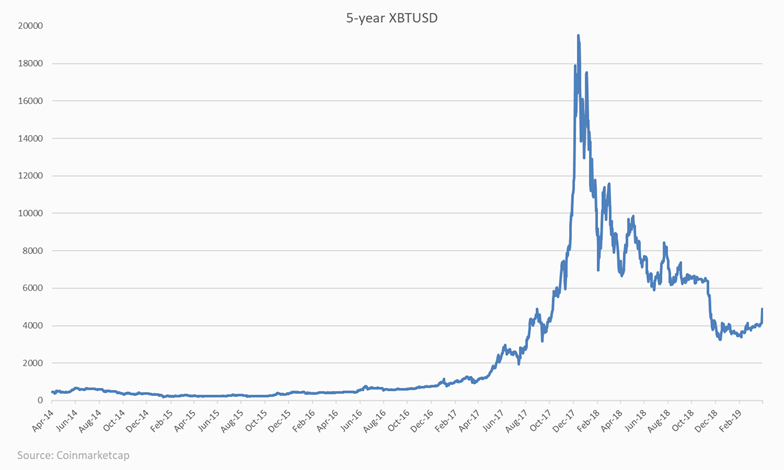 The crypto market is nothing like other financial markets, as its volatility is way higher. Ups and downs happen overnight, and we need to act quickly in order to reap the benefits and consider our trade successful. 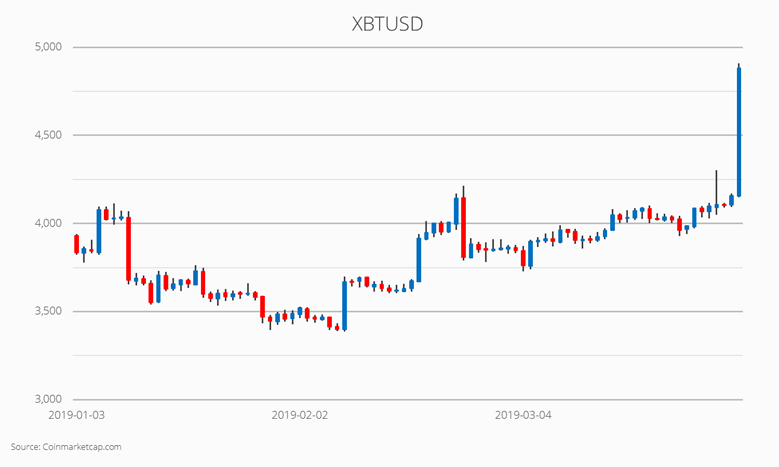 Therefore, it is necessary that you obtain specific strategies which would help you in your effort to amass material wealth by trading cryptocurrencies. Let’s take a look at some of the proven strategies that helped many crypto aficionados earn their slice of the crypto pie. Hodling is an Internet slang term for holding. It involves buying assets once and waiting for a long time for their price to go up and sell them when the price reaches the ceiling. The name itself popped up on Bitcoin Forum, as the user who wanted to express the enthusiasm about this trading strategy wrote: “I AM HODLING!” The misspelled word went viral instantly. There are many cryptocurrency traders (if they can be considered traders at all) who apply this strategy. This was mainly triggered by the idea that Bitcoin and other altcoins could go up again in the future. Basically, some say that hodlers are similar to position traders who take it slow with buying and selling. However, position traders still trade, although on rare occasions; while hodlers only, well, hodl. This strategy is essential if you are new to cryptocurrency trading and don’t want to learn more about trading cryptos. “Scalpers” are traders who basically trade whenever any kind of fluctuation happens on the market. In other words, the sudden asset value changes will immediately attract scalpers who will use this as an opportunity to buy or sell their coins. The main idea is to use volatility as your primary weapon when trading and always be there to watch the things unfold in front of your eyes. Successful scalpers understand a broader scope. They know that it is not only about cryptocurrencies but about the hype and all the other things that affect crypto prices. Day Trading is essentially the same as Scalping, except for the fact that trading is conducted less often and in smaller amounts. Day traders use asset fluctuations in order to get the most out of their crypto trading effort, but they do it one small step at a time, unlike scalpers who always aim at the big picture. Every day trader should pay attention to things such as trading volume, market liquidity, and asset volatility as these play a crucial role in the day trading strategy. What you need to understand is that both scalping and day trading involve a lot more risk than hodling. When you hodl, you take a long-term risk which is not as dangerous as emotion-filled one that scalping and day trading include. In other words, you need to be mentally prepared for an emotional rollercoaster throughout the day if you want to devote your time and money to this type of trading. “Buy when low – sell when high” is a type of strategy that is basically included in every other kind of strategy. It is only natural that you want to buy low-priced assets and sell them when they peak. 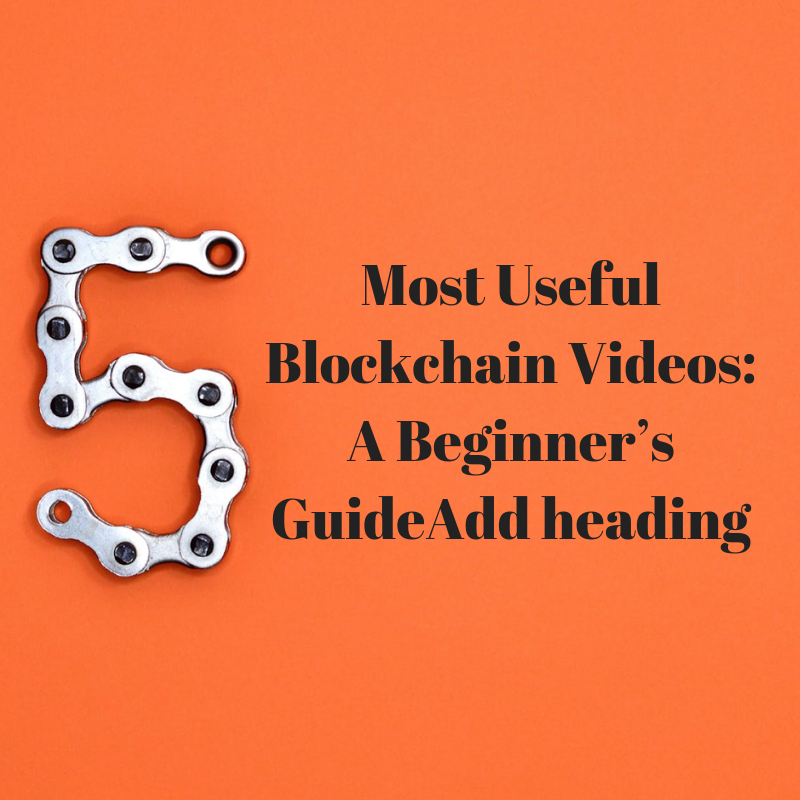 However, if you are a newbie in cryptocurrency trading, you may just want to follow this formula as the number-one rule. Therefore, make sure to watch crypto prices every day and buy coins when you think they have reached their floor price. The same principle should be applied to the cryptos that you own. Sell them only when you see that their price is going up and is about to hit the ceiling after which they will start going down again. Sure, it takes a lot of understanding of how to do that properly. We suggest that you closely follow experts’ advice on this and read news about cryptos on a daily basis. Balanced portfolio strategy means choosing a couple of tokens and start trading them equally. For example, you can choose to trade with Bitcoin, Ethereum, and Litecoin. A balanced portfolio would mean that you buy an equal amount of coins for all three cryptocurrencies and devote the same amount of time. This is a perfect way to test various currencies and continue with the one that seems to bring you the highest profit. Utilizing the balanced portfolio strategy is not an easy task, though. Things can get complicated and out of control if your tokens change overnight contrary to your prediction. Therefore, instead of risking it with one type of coin, you are risking it with several cryptos. On the other hand, the reward can be very high if you play it right! The unbalanced portfolio includes focusing on trading one cryptocurrency, but not excluding others completely. You would create your portfolio based on how each of these cryptocurrencies performs. For example, if Bitcoin performs well, it would be your primary focus, but Litecoin and Ethereum would also take up a portion of your portfolio. Those who want to adopt an unbalanced portfolio strategy need to conduct thorough research in order to gain a deep insight into which cryptos are performing well and how they should structure their portfolio. Both beginners and experts should have some type of strategy when they trade cryptocurrency in order to maximize the potential outcome. 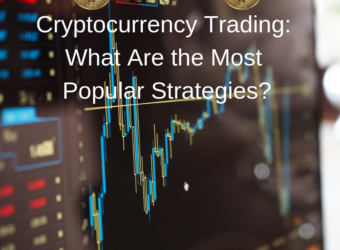 The strategies presented above are the tip of the iceberg to get you interested in crypto trading approaches. Therefore, if you plan to begin with trading cryptocurrencies, make sure to read more about the best possible strategy for you. UPDATE: As of this writing, the company is reorganizing their memberships, so you’re unable to sign up for one. However, you’re still able to take out a loan. And, you no longer need SALT to do so. If you stake SALT for your loan, though, you’ll receive a better rate and/or terms. You need to provide several pieces of personal information to create an account and become a member. This information includes your first name, last name, valid email address, and country. You’re also subject to Know Your Customer (KYC) and Anti-Money Laundering (AML) restrictions, so be prepared to upload an ID. On the other side of SALT are the lenders. Lenders have previously avoided dealing with cryptocurrencies because of the oftentimes complicated nature of the assets. SALT provides lenders with the infrastructure, compliance, and security they need to accept crypto collateral without adding additional costs to their current processes. In exchange for these services, lenders must also pay for a SALT membership. Once again differing from traditional finance, SALT never inquires your credit score. Instead, the platform only uses the value of your crypto collateral to determine the terms of your loan. Lenders kick-off the loan process by posting the terms in which they’re willing to lend. As a borrower, you can look through the various terms and choose the one that’s best suited for you. Once you pick a loan, the loaners commit the cash funds while you provide collateral to a smart contract. The cash funds are sent directly to your bank account. You then pay monthly installments based on the loan terms, and when your loan is paid-off, SALT releases your collateral from the smart contract and returns it back to you. The SALT Oracle creates the smart contracts for each loan and triggers the events of the loan. To lower the risk of default, the Oracle also records loan payments and monitors the changing value of the crypto collateral. As you pay off the loan, this ratio decreases because the amount of the outstanding loan decreases. However, if the value of your collateral decreases due to a decline in the market price, this ratio will increase. 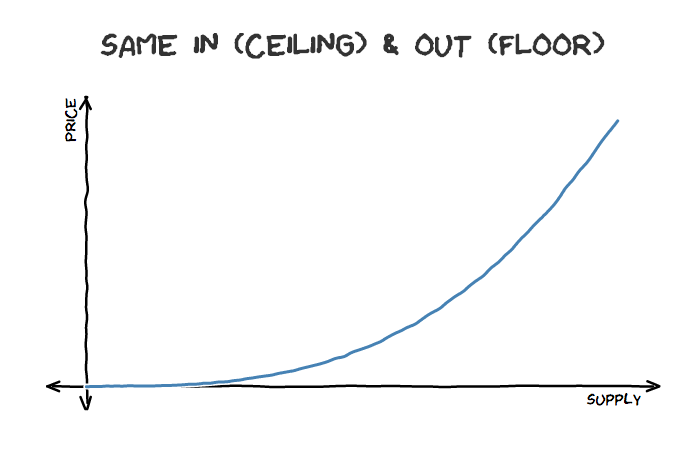 until the ratio returns to the original level. The Oracle autonomously tracks the loan-to-value ratios and notifies the borrowers when it becomes too high. The amount of time a borrower has to correct the ratio differs based on the velocity of the price decline. The SALT team is over 15 members strong and was led by Shawn Owen as CEO. Owen is a serial entrepreneur with years of experience in hospitality operations. In July 2018, Owen left the company leaving CTO Bill Sinclair to take his place. The most notable member of the SALT team is one of their advisors, Erik Voorhees. Voorhees is the founder and CEO of ShapeShift – one of the most popular crypto-to-crypto exchanges. SALT reached a big milestone in January 2018 by officially beginning to provide loans for top-tier members. The platform already has over 70,000 loans and has funded over $50,000,000 in those loans. Plans for 2018 included launching credit cards, creating loan funds, and expanding collateralization to other alternative coins as well. The team only hit some of those milestones. The company expanded support, adding Litecoin and Dogecoin loans. But, it looks as if credit cards and developer tools are still some time out. 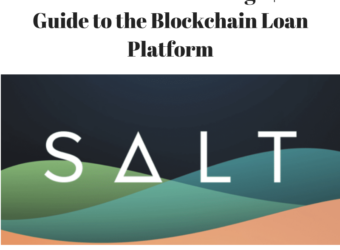 SALT is the current leader in blockchain-based loans; however, there are a few other competitors popping up in the space. ETHLend and Elix are two younger competitors that provide decentralized lending on the Ethereum blockchain. SALT differentiates itself by focusing on institutional cash loans that are backed by cryptocurrency while the other two projects appear to have taken a peer-to-peer approach. Both use-cases should have a solid place in the market. Additionally, SALT is competing with more traditional platforms that provide crypto-backed loans but aren’t using a specific token. SALT tokens, also known as membership tokens, are ERC20 tokens that you spend to become a member of the SALT lending platform. Furthermore, you can redeem these tokens to pay down loan interest, receive better rates on loans, and purchase items from SALT’s online store. At one point, these tokens held a different value on the lending platform than what they were trading for in the market. They used to be worth exactly $27.50 on the lending platform while trading at a value below that price. You could also previously pay-down the capital of your loans with SALT tokens. So, this created an interesting arbitrage opportunity. If you had the bankroll, you could technically get an Enterprise membership for $1200 and take out a $1M loan backed by $1.25M of Bitcoin. You could then turn around and buy $1M worth of SALT tokens from the market (~83,333 SALT). Because the SALT tokens were worth $27.50 on the platform you would only need to spend ~45,455 SALT tokens to pay back your loan. This would leave you with a little under 40,000 SALT tokens plus the original Bitcoin you put up as collateral – about a 40% return. The SALT team must have caught on to this scheme because they’ve since removed the opportunity. SALT held their ICO in Q3 2017 in which you could purchase a membership token for $3.00 – $7.00 depending on the time that you bought it. There are a total of 120M SALT tokens, and just over 80M are currently circulating in the market. Starting in December 2017, the price steadily rose and jumped to an all-time high of over $17 with the announcement that lending on the platform had finally begun. Since that high at the very end of 2017, the price has fallen drastically. Throughout 2018, the coin has lost over 98 percent of its value. It’s currently worth about $0.25. Because SALT isn’t required to use the lending platform, there’s not much that will cause the price to rise again. A healthy cryptocurrency market should help. And juicy enough membership incentives may also provide some positive demand-side pressure. Other than that, it’s tough to see this coin rising from the dead. The most popular exchanges to purchase SALT are Binance and Bittrex. To trade for SALT on one of these exchanges you need to first have Bitcoin or Ethereum. If you don’t have either, you can purchase them with traditional currency on an exchange like Gemini and then transfer them over. For a full list of exchanges where you can buy SALT, check out CoinMarketCap. Because SALT is an ERC20 token, you have a few different options on where to store it. A popular online option is MyEtherWallet. The SALT website recommends that you use the Jaxx wallet and even provides instructions here. Jaxx is available on Android, iOS, Mac, Windows, Linux, and as a Chrome extension. The most secure way to store your tokens is by using a hardware wallet like Trezor or the Ledger Nano S. Using hardware wallets keeps your funds offline and out of the reach of hackers and ill-intended software. The SALT lending platform is a great option if you want/need to make some real-world expenses and don’t want to lose the potential gains from your crypto holdings. Beyond that, the project works to solve a major problem of blockchain assets – illiquidity. By opening up an entirely new form of loans, the project brings more liquidity to the cryptocurrency market. The team has a solid foundation of blockchain experience and is advised by a leader in the industry. With a working platform in the market already, SALT is ahead of many other blockchain projects. That being said, there’s no requirement to use SALT tokens on the platform. So, it should make you wonder why the company has a specific token in the first place. Hopefully, the new membership tiers will make this more obvious. As long as popular music has been around, there have been those fans who indignantly claim “I knew about so-and-so before they were famous” when one of their favorite artists suddenly gains worldwide popularity. Sometimes, these early fans feel disillusioned or even betrayed when, after years of limited fame, their favorite artist sells-out and starts changing their style to pander to a mainstream audience. As an artist’s popularity skyrockets, those early “true” fans often band together to show disdain for the newer, “fake” fans. If there was a way to buy stock in ________ in 2011, I’d be so rich right now. Today, the options for supporting your favorite artists are somewhat limited. Fans can directly show their support through streams & downloads, or by buying merchandise and tickets to their shows. Fans can also indirectly benefit artists simply by sharing the music they like, whether it be on social media or by word of mouth. While both of these methods are effective in benefitting the artist, neither provide a way to stake your own skin in the game of an artist’s success. Both display a one-way exchange of value. For example, say I discovered an artist named Young Thug in 2011 and thought he was destined to be the future of rap. I decide to share his mixtape on Twitter. Even if through that post I personally make 10,000 new Young Thug fans, I receive none of the value of those fans that Young Thug benefits from. Although it undoubtedly feels good to see an artist who you’ve followed since the beginning succeed, the music business lacks the financial incentives that would yield a mutually beneficial consumer/artist relationship. What I’ve essentially provided in this scenario for Young Thug is a wealth of attention, and in an information-driven economy, attention is the most valuable currency. For a recording artist, this attention translates into more streams, ticket sales, merchandise sales, followers, and at the end of the day, dollars. Now imagine if there was a way to directly monetize and compensate my contribution to Young Thug’s rise in popularity. Imagine if, having recognized his genius in 2011, I had been able to put my money where my mouth is, betting that others would soon recognize his genius as well: giving me a direct incentive to share his music with as many people as possible. This would be in Young Thug’s best interest as well, because if his loyal fans have more than just pride to gain when they see him go multi-platinum, they will be even more active in getting his music out there. Creating a way for consumers to share in both the up and downside of an artist’s popularity economically incentivizes them to spread the artist’s music, allowing them to actively contribute to their rise to popularity. This opens up a whole new set of economies around the sharing and consumption of music. Avid music aficionados could become like independent A&Rs, betting on the success of little-known artists and then working with them to facilitate it. With the ability to put their own financial skin in the game, people can be actively engaged in getting an artist’s name out, rather than passively sharing it with a few friends. Eventually, this could all but eliminate the need for viral online marketing campaigns by new artists, as good music will increasingly speak for itself and word will travel fast of the opportunity to bet on its rise in popularity. As a huge music guy for the majority of my life, I have been around for the rise and fall of many fleeting trends. One unfortunate trend that has not only stuck around, but been exacerbated by the ubiquitousness of technology, has been the formulaic commercialization of the industry. Each year the industry grows more phony, rewarding the “artists” who are able to garner the most attention- regardless of whether this attention is positive or negative. This is a result of our information-saturated lives. The human brain can only process data so fast. It would be nearly impossible for even the most dedicated music listeners to sift through and effectively curate the vast amount of new music coming out on a daily basis. This is why streaming platforms like Apple Music and Spotify now provide pre-curated playlists based on moods, genres, and the newest releases. Since no individual has the time to keep up with the rampant releases, most are satisfied letting these streaming platforms do the taste-making for them. However, this creates an asymmetry of power. The handful of curators working on making the playlists don’t necessarily have to worry about putting the best music in their playlists- just the music that will garner the most streams, and the most attention. When the artists we consume and interact with are predominantly curated by monolithic companies with only their bottom lines in mind, those artists are going to be the ones who are algorithmically designed to hold our attention the longest. At the end of the day, this rewards the most outrageous and attention-grabbing artists in favor of ones actually making exceptional music. Now back to where we started: Financial incentives for skilled curators. As long as they receive no tangible compensation for the consumer/artist value exchange, consumers will be willing to allow record companies, blogs and streaming platforms to curate their music tastes for them. However, if you give consumers a way to stake their own money on the success of an artist and share in the potential upside, they will have a much more active role in curating a portfolio of artists that they believe in. This flips the current industry model on its head, where consumers are spoon-fed a slew of superficial artists with attention-grabbing names and appearances, but whose music severely lacks in substance and replay value. Thanks to emerging financial & cryptoeconomic primitives, we can now make these incentives a reality. Using a TCR (token-curated-registry) with a curved bonded token, we can design a platform where users could stake a digital asset like Ethereum to receive a native project token, such as a token specific to a certain artist. These artist tokens will be created and dissolved as artists are added and removed from the Soundcurve TCR, where curators will stake their Ethereum. The Ethereum is locked into a smart contract in exchange for the native artist token. Once one person has staked their Ethereum for the artist token, each subsequent staker will have to pay a slightly higher base Ether rate for each artist token, thus generating a profit for the earliest stakers. As more curators find out about hot new artists, they will continue staking more Ethereum, gradually increasing the value of each artist token along the bonding curve. Prudent curators will find promising artists early, stake their Ethereum for the artist token, and then sell their artist token back for an Ethereum profit at peak popularity. Now, instead of griping about an artist being a sellout, curators can exchange their artist tokens and search for the next artist to blow up. Curved bonding rewards the people who can discover artists with the most potential the earliest– similar to how the A&R industry once worked in theory. Now however, with the music industry relying on viral meme marketing to promote less and less substantive music, the importance of talent is at an all time low. A platform like Soundcurve has the potential to reverse these effects, as it allows a decentralized group of curators to decide for themselves which artists deserve popularity, and gives them stake in the game of their potential success. It also allows adept curators to share in the financial success of their favorite artists as a function of the additional attention that they are able to generate. Eventually, artists could also receive a small royalty percentage of each sale of their native token in the Soundcurve TCR. This feedback loop of artists promoting their music and curators promoting the artist’s token will work as a data-processing machine much more efficient than the brain, making it easier for casual listeners to find good music as well as rewarding curators for their belief in an artist. As the world becomes increasingly tokenized in the coming years, I believe we will see this exact same incentive structure being used to disrupt a variety of different industries. Curved bonding is already being implemented to incentivize the curation of data sets with Ocean Protocol, and we are just beginning to realize the vast potential use cases for TCRs in curation markets. 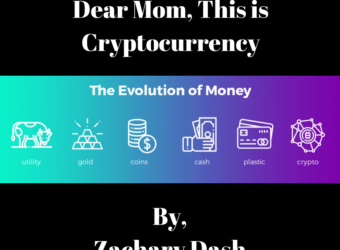 This Crypto Against Humanity game is using bonding curves to give creators the opportunity to share in the value of the cards the community finds valuable. Utilizing these primitives makes perfect sense to me in the context of artist curation, especially as the market becomes increasingly saturated, and it feels increasingly impossible to self-curate. 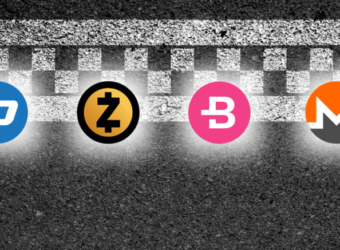 It’s a tight race between these privacy coins – each with their own list of benefits and drawbacks. A clear winner still hasn’t emerged and new competitors are popping up seemingly every day. Verge and PIVXhave gained quite a bit a popularity lately while Aeon and NAV Coin are slowly gaining steam as well. While not exactly being known as a crypto industry leader, Louisiana nevertheless hosts several homegrown businesses and organizations that use crypto and the blockchain in a number of different, innovative, and exciting ways. Despite Louisiana’s lag in the number of crypto companies located in the state, the businesses that currently exist here showcase the ingenuity and business savvy of its residents and, if it’s any indication, point to a very bright future for crypto in the bayou state. Let’s take a look at our comprehensive list of all the crypto and blockchain companies currently located in Louisiana. Created in early 2018 in Baton Rouge by a group of enterprising entrepreneurs and local crypto enthusiasts, Moxey is Louisiana’s only cryptocurrency. Moxey is a community of small business owners that are committed to keeping their business truly local. The way they do this is through their cryptocurrency, Moxey. This allows their members to do business together, purchase the things they need with Moxey, and save their cash. Through the Moxey currency and easy-to-use payment platform, a community of trusted businesses has been created who benefit from accessing this unique and powerful medium of exchange. 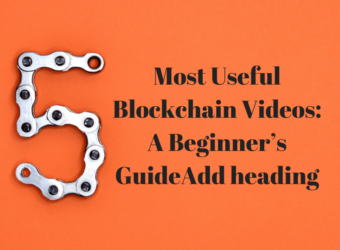 Headquartered in New Orleans, Business Blockchain HQ is a media website providing high-quality content and research on blockchain applications for business and IT professionals. The goal of their website is to inform and educate managers and executives on the blockchain to help them realize the technology’s possibilities in addressing inefficient processes and business challenges. First established on January 15, 2017 at Mojo Coffee in New Orleans, the Louisiana Bitcoin Cryptocurrency Council (LABCC) is an organization focused on blockchain education, with the mission of building and implementing use cases of Bitcoin and other cryptocurrencies across the state of Louisiana. Gilded is a New Orleans-based crypto company that specializes in crypto accounting services. The company’s mission is to promote cryptocurrency adoption with simple, innovative crypto tools for businesses. From crypto accounting to crypto invoicing, Gilded compliments your existing crypto wallet, making crypto transactions safer and easier to track. The Building Economic Advancement Network, or BEAN, is a social network centered on economic advancement for urban communities. BEAN leverages the latest developments in blockchain technology and social networking to provide a clear path to economic advancement. The blockchain is used to incentivize business transactions among users, who are able to see their daily economic impact and are rewarded with BEAN Coin tokens for their efforts. These tokens are then used as cryptocurrency on the social network. Revolutionary among social networks, no other website currently exists that utilizes modern social networking to drive economic growth and inclusion. Founded in Baton Rouge by CEO and co-founder Joe Blackburn, Crypto Coin Trader is a blockchain based social media site. 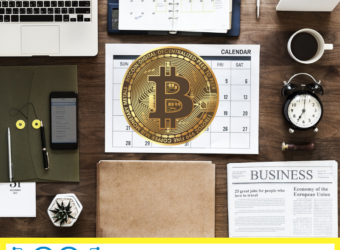 With a focus on Social Media, Community Management and Community Engagement, Crypto Coin Trader is widely considered one of the most influential and successful social media communities in the blockchain. Originally headquartered in New Orleans, Coin Bayou announced earlier this year that it was moving operations of its crypto data mining center to a nearly 3-acre plot nearly at 15635 E. Airline Hwy. in the tiny industrial zone of Norco in St. Charles Parish. While it doesn’t look like much right now, the site is actually gearing up to become one of the largest Bitcoin operations in all of the South. The reason is simple. Electricity costs are extremely low in Louisiana, making Louisiana the best place to mine Bitcoin in the entire United States. Crypto Research was launched earlier this year by Joe Castille in Lafayette, Louisiana with the goal of performing quality research on the crypto industry and the various applications for crypto and the blockchain. Still in its early stages, this ambitious startup hopes to launch its website soon and begin making its mark on the burgeoning crypto scene. 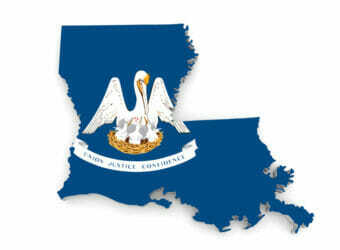 We can’t make a list of Bitcoin businesses in Louisiana without including our very own. Since 2014, Pelicoin has served as the industry pioneer in our state, creating the first Bitcoin ATM a couple of years before the current crypto craze and continuing to expand and dominate the local market for instant cryptocurrency transactions. If you’re interested in purchasing Bitcoin, Litecoin, or Ethereum, Pelicoin’s numerous ATM locations spread across the state are ready to help you make it happen. Call (504) 507-0879 or email us at support@pelicoin.com for any questions.